This was an eleven-circuit design divided into four quadrants. It was often found in Gothic Cathedrals but over time many of these eleven-circuits designs were destroyed or intentionally removed. The most famous of these remaining Labyrinths is at Chartres Cathedral near Paris, France. The Labyrinth at Chartres was built around 1200 and is laid into the floor in a style sometimes referred to as a pavement maze. 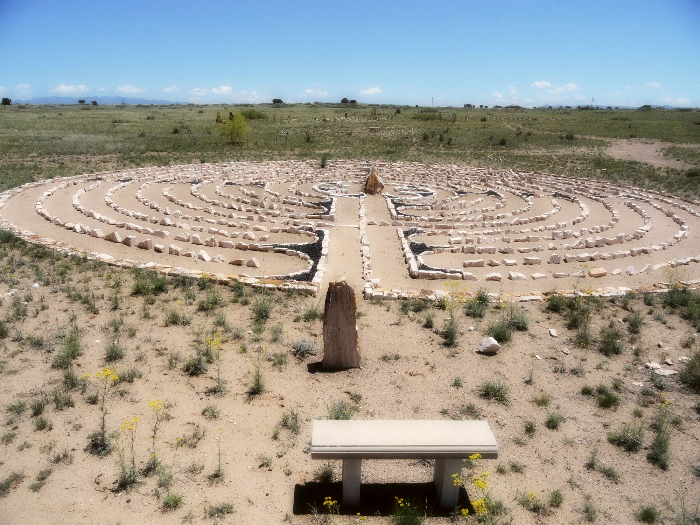 The original center piece has been removed and other areas of the Labyrinth have been restored. 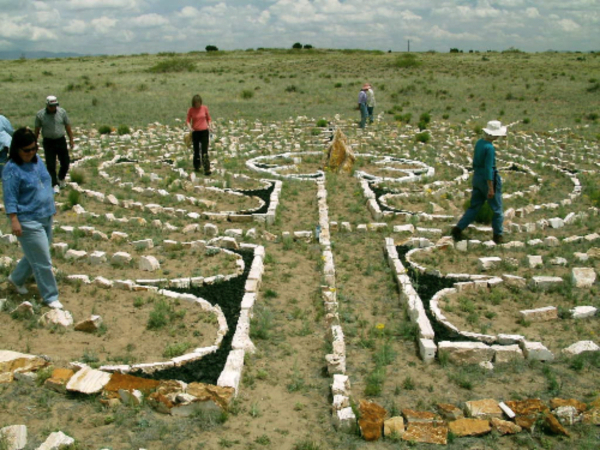 This labyrinth was meant to be walked but is reported to be infrequently used today. In the past it could be walked as a pilgrimage and/or for repentance. As a pilgrimage it was a questing, searching journey with the hope of becoming closer to God. When used for repentance the pilgrims would walk on their knees. Sometimes this eleven-circuit Labyrinth would serve as a substitute for an actual pilgrimage to Jerusalem and as a result came to be called the "Chemin de Jerusalem" or Road to Jerusalem. In walking the Chartres style Labyrinth the walker meanders through each of the four quadrants several times before reaching the goal. An expectancy is created as to when the center will be reached. At the center is a rosette design which has a rich symbolic value including that of enlightenment. The four arms of the cross are readily visible and provide significant Christian symbolism.